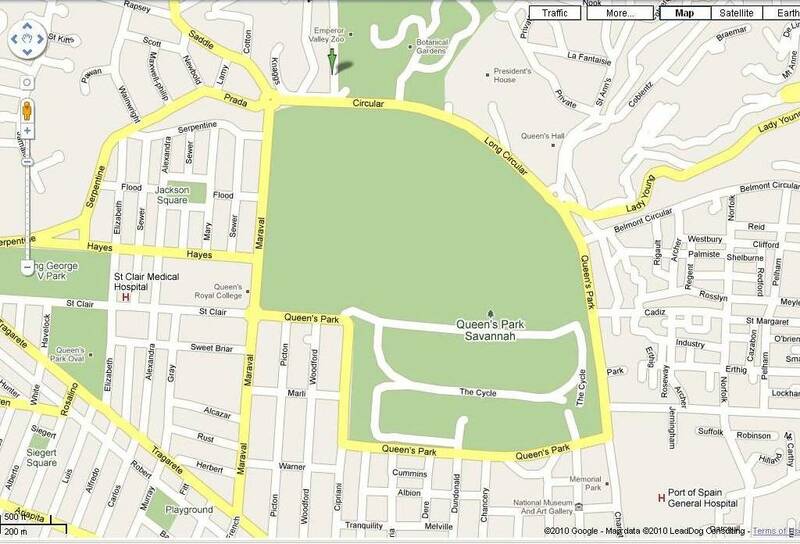 DIRECTIONS From all locations – Get onto the Queen’s Park Savannah, Port of Spain. 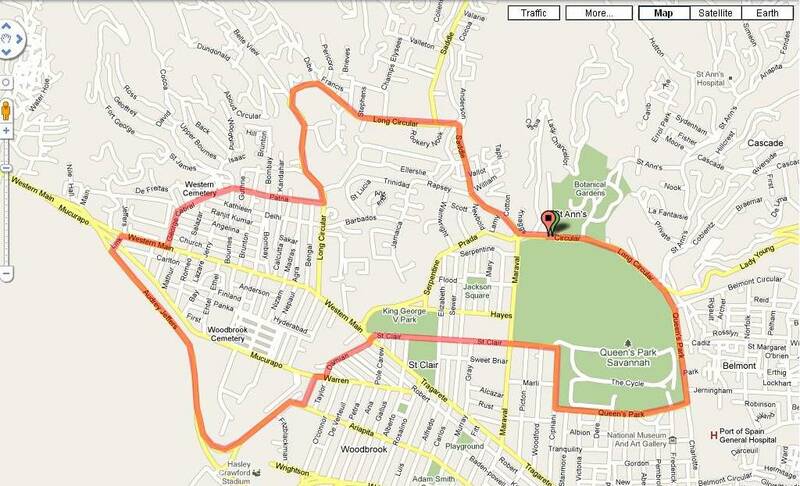 Proceed in the direction of traffic (clockwise) towards Maraval. Exit at the Maraval Road, Prada St, Circular Road Roundabout. Enter the Roundabout and exit East for Emperor Valley Zoo/ Belmont traffic. Proceed short distance along Circular Road, and take left onto Emperor Valley Zoo Road, (immediately after Chancellor Road). Parking lot on left. Assembly point just outside Carib’s Rugby Club. ANATOMY The run covers a distance of approx. 6.6 miles (10.5km). Runners typically cover the run in anywhere from 48 mins to 1 hour 15mins. The run kicks off at the Savannah walkpath at the Emperor Valley Zoo road, then proceeds with the traffic (clockwise) around the Savannah to St Clair Ave (Queen’s Royal College). The run proceeds along St Clair Ave, across the Roxy roundabout at Tragarete Road, along Damian St, across Warren St, along Belle Smythe St and right turn onto the Foreshore Freeway. The run exits the Foreshore at the Mucurapo Road/ Link Road traffic light and this concludes the first half of the run. The second half proceeds from the Link Road on to a right turn at the Western Main road towards George Cabral St. After the Foreshore push, the George Cabral incline provides the next stiff test – a challenging uphill which peaks just before the Bournes Road intersection at Patna St. Travelling along the length of Patna St one meets the rolling inclines/ declines, Long Circular Mall on left and then a left turn onto Long Circular Road. Another testing climb greets the runner now approaching the final third. The climb culminates at the US Ambassador Residence on right/ Ambassador Hotel on left. This peak provides a welcome momentum build for the final push along the Long Circular Road, through Boissiere, Maraval and onto the Savannah Circular Road back to the start point.